From the M20 (Jtn 11): once you arrive at the Saltwood village green, take the left side of the fork continuing on to Grange rd. At the end of Grange rd, the road bends to the left. Keep going until you reach Hayne Barn. Go up the drive, pass the row of cottages until you reach Hayne Barn House. Turn right on to Castle rd just after having passed the cricket club. At the end of Castle rd turn right. Keep going until you reach Hayne Barn. Go up the drive, pass the row of cottages until you reach Hayne Barn House. 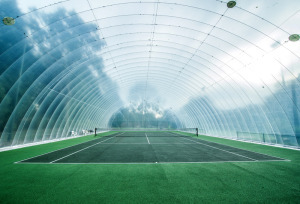 Hayne Barn Tennis is only a 20 minute drive from Ashford and the historic city of Canterbury and only 5 minutes from Hythe.